Shell Cottage at Aldeburgh Coastal Cottages in Aldeburgh, near Saxmundham sleeps 8 people. 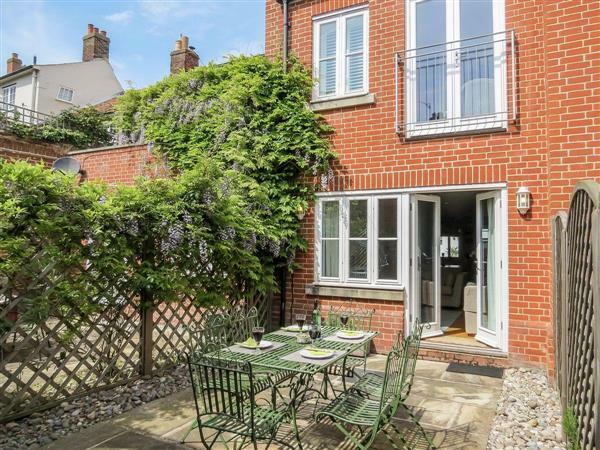 These two ideally located, terraced holiday cottages are situated in a prime position just off the Aldeburgh high street and only one minute walk to the beach. Aldeburgh Coastal Cottages are close to boutique shops and restaurants, and are perfect for those who are looking for a base to explore the Suffolk coastline. Inside The Lobster Pot (ref UKC1226 [The Lobster Pot]), are two spacious kingsize bedrooms and a single room with a pull-out bed. There is also a stylish open plan living space with a breakfast bar. Shell Cottage (ref UKC1227) comprises of a large open plan living/dining room with patio doors leading to a secluded south facing courtyard garden. All four bedrooms sleep two and the cottage has three bathrooms with two showers. The beach is 75 yards, with the shop, pub and restaurant 50 yards from Aldeburgh Coastal Cottages. The Lobster Pot (ref UKC1226 [The Lobster Pot]) and Shell Cottage (ref UKC1227) can be booked together to sleep up to 14 people. 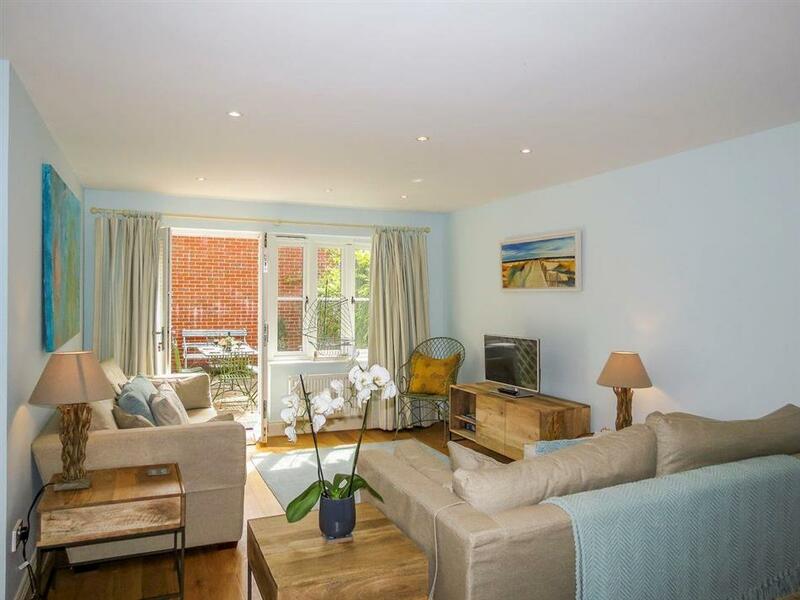 Living area: With 32 Freeview TV, DVD player and patio doors leading to courtyard. Kitchen area: Galley style with electric cooker, microwave, fridge/freezer, dishwasher and washer/dryer. Bedroom 1: With double sofa bed. Bedroom 2: With super king-size four poster bed and en-suite with bath, shower cubicle and toilet. Stairgate. Enclosed courtyard with garden furniture. Gas central heating, electricity, bed linen, towels and Wi-Fi included at Shell Cottage. Travel cot and highchair available on request. Welcome pack. Private parking for 1 car. No smoking. Holidays at Shell Cottage, Aldeburgh Coastal Cottages run from Friday to Friday. For a better idea of where Aldeburgh Coastal Cottages - Shell Cottage is, you can see Aldeburgh Coastal Cottages - Shell Cottage on the map below. You can find more large holiday cottages (that's cottages which sleep 8 or more people) in Suffolk. If you want to see more large cottages, have a look at large cottages in Suffolk. Aldeburgh Coastal Cottages - Shell Cottage is in Suffolk; should you be on the lookout for a special offer, you can find all the special offers in Suffolk. It's always worth checking to see what is on offer at the moment. Do you want to holiday near Aldeburgh Coastal Cottages - Shell Cottage (UKC1227), you can see other cottages within 25 miles of Aldeburgh Coastal Cottages - Shell Cottage; have a look to find your perfect holiday location.